The book follows Woolf’s 13 final diary books, from 1929 to 4 days before her suicide in March 1941. Beyond exploring Woolf’s diary development across the 1930s and how she used her diary to fight against the growing fascism and war, the author reveals 19 other diaries Woolf read during this time frame that influenced her public works. These include the diaries of Dorothy Wordsworth, Guy de Maupassant, Andre Gide, Alice James, Michael Field, Leo and Countess Tolstoy, and more. Barbara Lounsberry is professor emerita of English at the University of Northern Iowa. 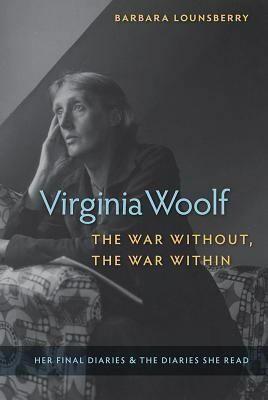 She is the author of Becoming Virginia Woof: Her Early Diaries and the Diaries She Read and Virginia Woolf’s Modernist Path: Her Middle Diaries and the Diaries She Read.